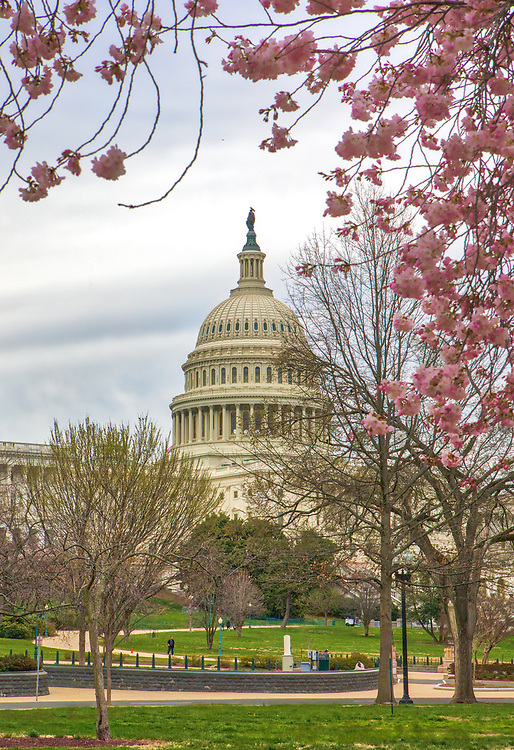 Historic Washington DC landmark photography image displaying the United States Capitol surrounded by beautiful Cherry Blossom. All photographs are available for digital and print image licensing at www.RothGalleries.com. Please contact me direct with any questions or request.